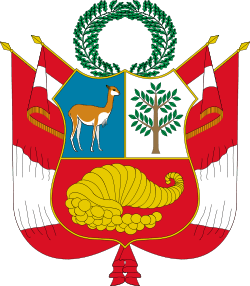 The demographic history of Peru can be reconstructed through the population censuses carried out throughout the history of Peru. The following table provides the official results of censuses undertaken in the 19th and 20th centuries. ↑ Instituto Nacional de Estadística e Informática, "Historia de los censos en el Perú" (PDF). (19.8 KiB). Retrieved on June 17, 2007.